Washington D.C. - House Republican Whip Roy Blunt (Mo.) and Chief Deputy Republican Whip Eric Cantor (Va.) today announced their selection of California Congressman Kevin McCarthy to serve as an Assistant Whip on the Republican Whip Team for the 110th Congress. Washinton D.C. -- Tonight, Congressman-Elect Kevin McCarthy (R-CA) was appointed to serve on the Committee on House Administration for the 110th Congress. 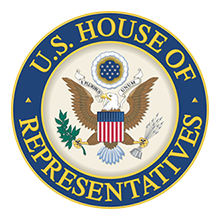 Unlike other committees in the House, Republican appointments to serve on House Administration are made solely at the discretion of the House Republican Leader, John Boehner (R-OH).